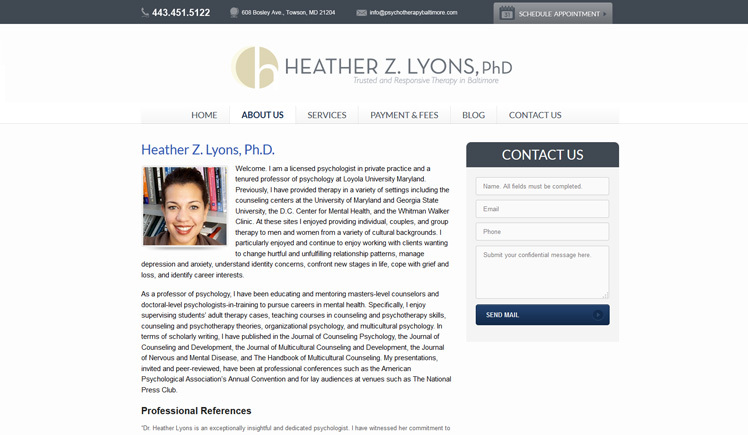 This small psychology practice needed a simple yet attractive website to explain their services and entice users to schedule an appointment. 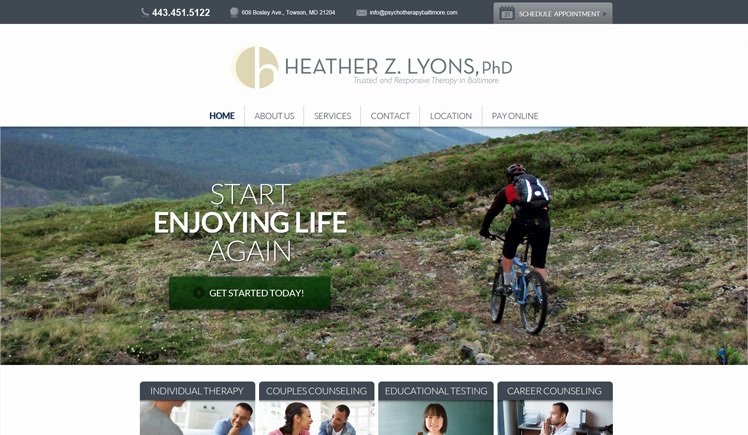 The homepage features a panoramic header image and graphical service banners, complimented by minimalist inner content design throughout the rest of the site. The call to action is not visually overbearing yet it is present at the top of every page.